This year, we have known for months that our vacation would be in Rwanda. We are travelling with a friend who has been doing volunteer work there for years. She started out doing therapy for survivors of the genocide and then went on to help with economic development. She’s been providing goats to various survivors’ collectives which gives them an immediate and tangible boost to their development. This year may be her last travelling to Rwanda, so we said we’d join her to do what work and assistance that we can. So this trip may be more volunteer work than sightseeing. Rwanda is suppose to be beautiful, rolling hills and forests, and is where Dian Fossey did her work with the gorillas. There will be lovely sights to see as we are doing whatever volunteer work we can. Now, I’ll try to address some of the obvious fears that people have expressed to us. Mainly, the specter of Ebola. The most important fact to keep in mind is that Africa is HUGE. The outbreak is in three small countries on the western part of the continent. 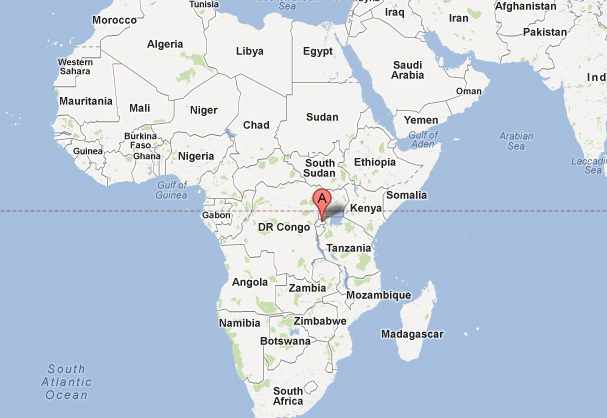 Rwanda is inland, but on the eastern side of the continent. Here in Santa Barbara, we are closer to an Ebola outbreak in Dallas than we will be in Rwanda. 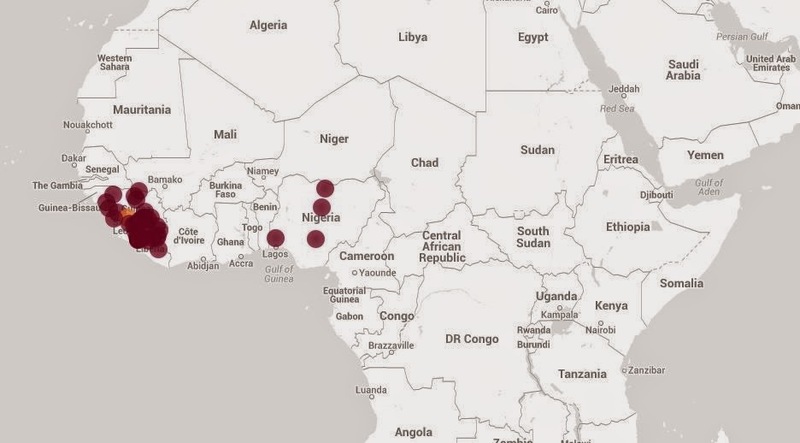 Here’s a map showing the outbreaks as well as the little country of Rwanda. The irony is that because we are coming from a country with a known Ebola outbreak (the USA), we’ll need to go through a medical screening to get into Rwanda. The second expressed concern is the Rwandan Genocide (as shown in movies like Hotel Rwanda). The genocide occurred in 1994, 20 years ago. There are still scars that the country is recovering from, but it isn’t an ongoing crisis, and is often discussed as a model of reconciliation. We’ll see what it looks like when we are there, but I don’t expect there to be any problems for us. I’m sure we’ll be posting here at least as much as we have for our trip to Malaysia last year (that’s a sarcastic comment since I’m well aware that the only post was the initial “we’re going to Malaysia” announcement). As we discovered last year, posting to Facebook on an ongoing basis is much easier and a much more immediate form of communication, so watch for out updates, there.